Everyone knows what a Business Card is but we know how to print them fast and affordably. 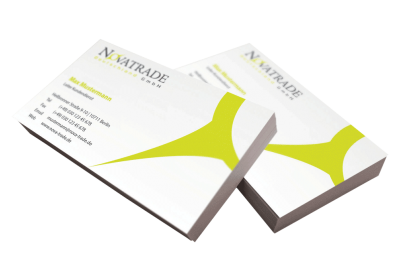 Our Business Card Printing comes standard on super thick 16pt(360gsm) cardstock double sided in full color and UV coated or uncoated at no extra cost. The standard turnaround for UV coated Business Card Printing is only 48 hours! Need business cards printed the same day? Choose us, with our digital printing service you can order same day business card printing and have your job done within a hour on 14pt(310gsm) cardstock in full color. The best thing to do is call us before your rush business card order to make sure we can get it done for you as soon as possible.